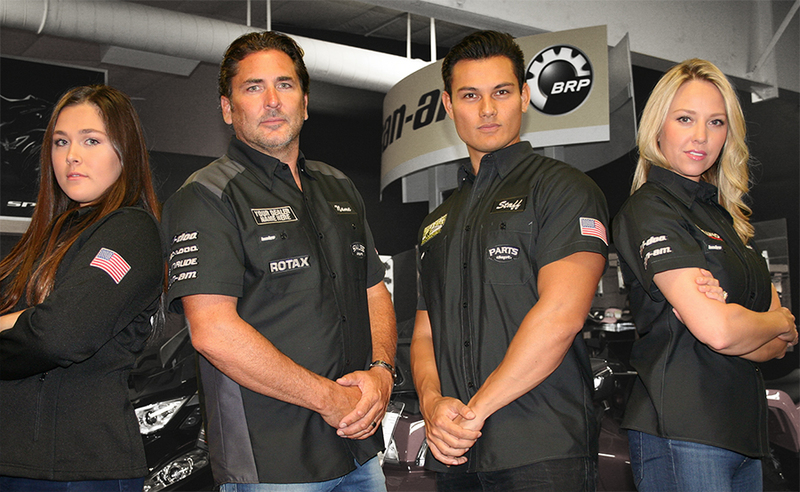 As official licensees of BRPÂ®, and on behalf of the BW Designs staff, we would like to welcome you to BRPÂ® Work Wear! We are excited to offer you a program that will have your staff looking "up-to-speed" without breaking the bank. 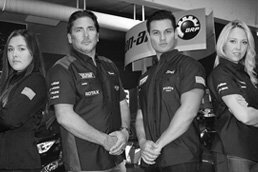 At BW Designs, LLC, we pride ourselves on having a great uniform program, as well as having ten years of experience working in the Power Sports Industry. 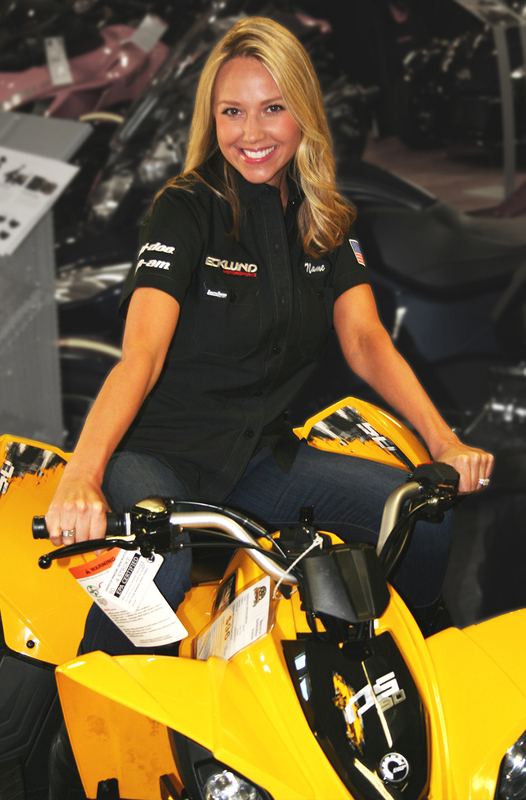 We have carefully crafted this BRPÂ® Work Wear program specifically for authorized BRPÂ® dealers only. 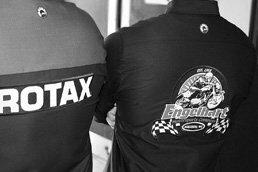 It allows for easy ordering, friendly and informed customer care, top quality customizable uniforms and economical pricing. With virtually no minimum required, you're able to order garments for the existing staff now and for any new hires later! 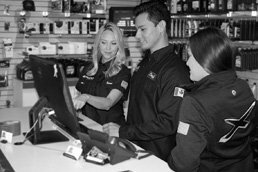 BRPÂ® Work Wear offers the benefits of custom quality and attention to detail at a mass production price. 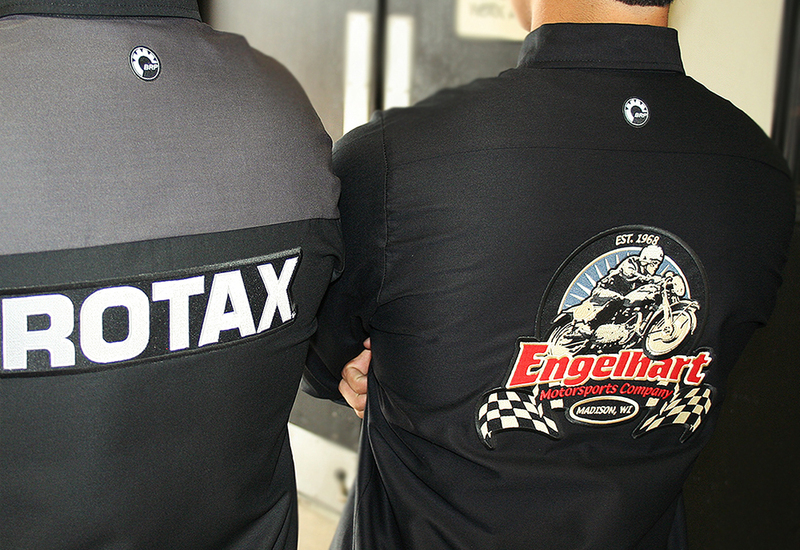 Your staff will be outfitted with garments even your customers will envy! 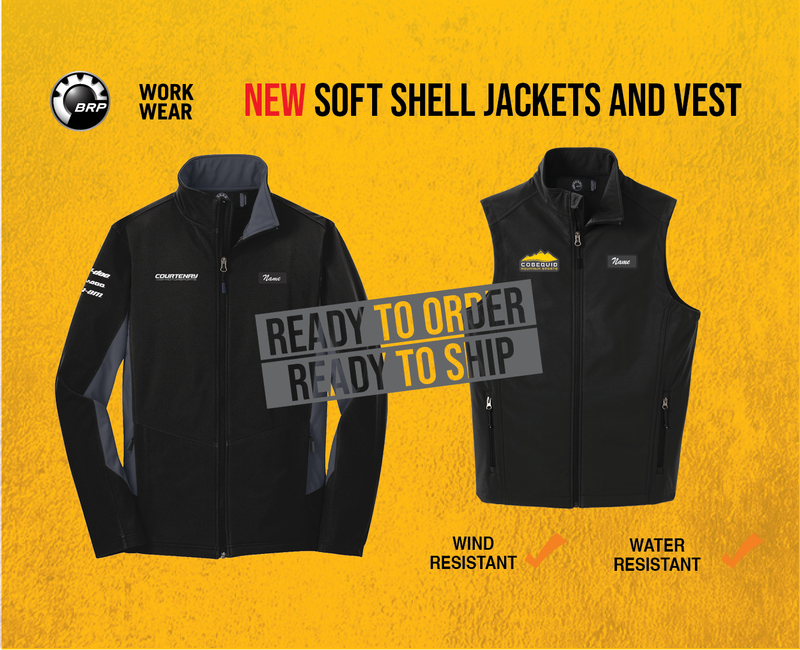 The BRPÂ® Work Wear program is designed to take advantage of low minimums and great pricing. 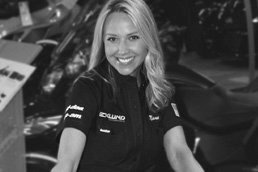 This is accomplished by creating your custom dealer logo emblems using your current logo artwork or by designing a logo completely tailored for your dealership uniforms, and then ordering a quantity that will allow you to come back and order more garments with no miniumums at a later date without having to reorder your emblems. This also greatly reduces the lead-time on reorders. Therefore, it is required that dealers purchase at least 25 emblems that we will keep in stock for you.